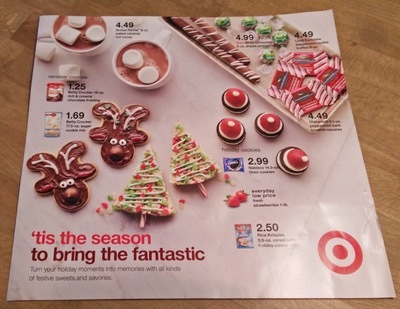 We saw a really fantastic print ad for Target (’tis the season to bring the fantastic: Turn your holiday moments into memories with all kinds of festive sweets and savories.) that really, really impressed us for its visual effectiveness. Yup, another example of thinking differently. Made us look at the classic gingerbread man differently for sure! AWSI, Target is very much thinking outside the box — and creatively. That is helping them become “THE” destination for one-stop shopping this holiday season. Check out their TV ad. Another truly creative execution. 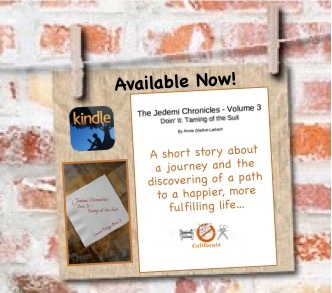 Thanks for reading and, as always, #SCMF! 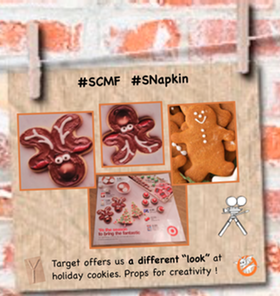 Another cool Target TV spot featuring animated gingerbread men. And the Enchanted Jukebox Sez the “Salmon dance” song is another creative execution that’ll catch you by surprise. I know you’re gonna love it if you give it one chance. You don’t even have to be a hip hop star.